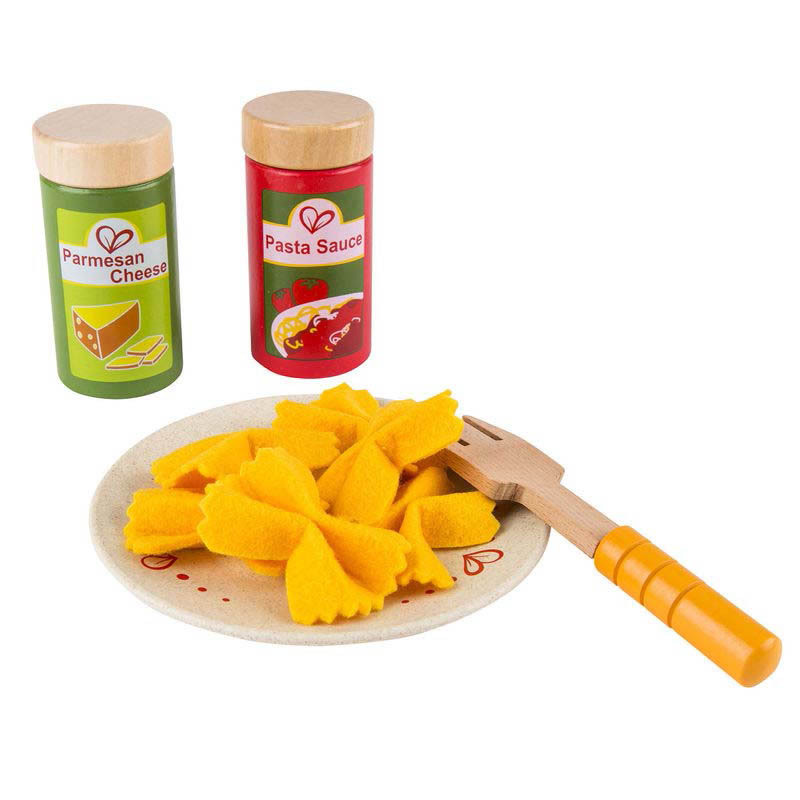 The perfect addition to any little kitchen . Here's everything a mini chef needs to make and serve a favorite meal . 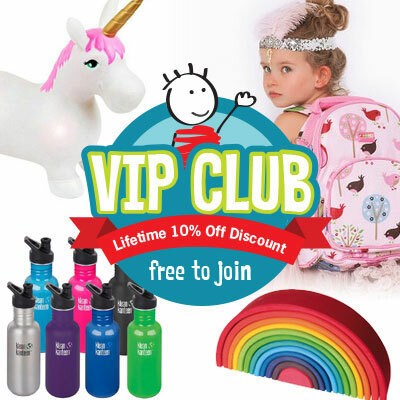 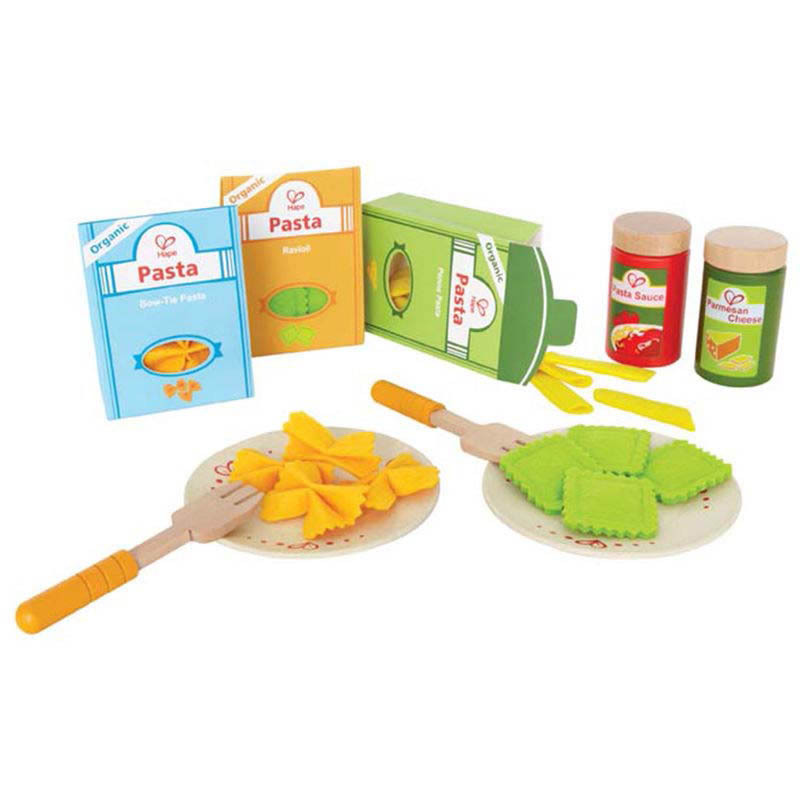 Made from wood, felt, cardboard and non-toxic paint this set is a sensory delight . 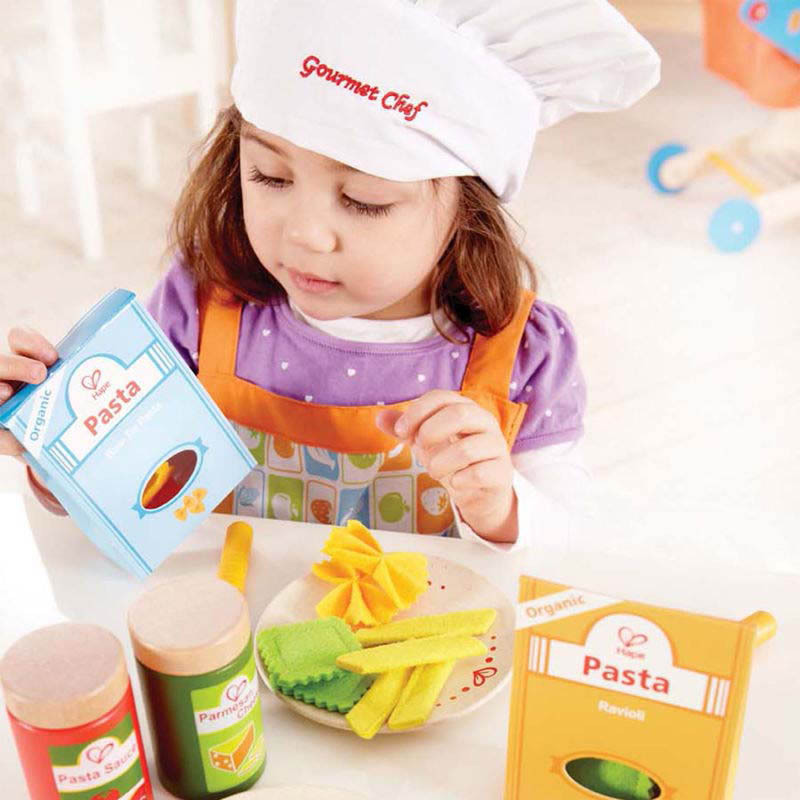 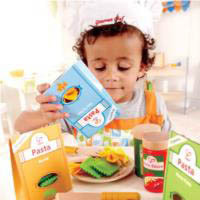 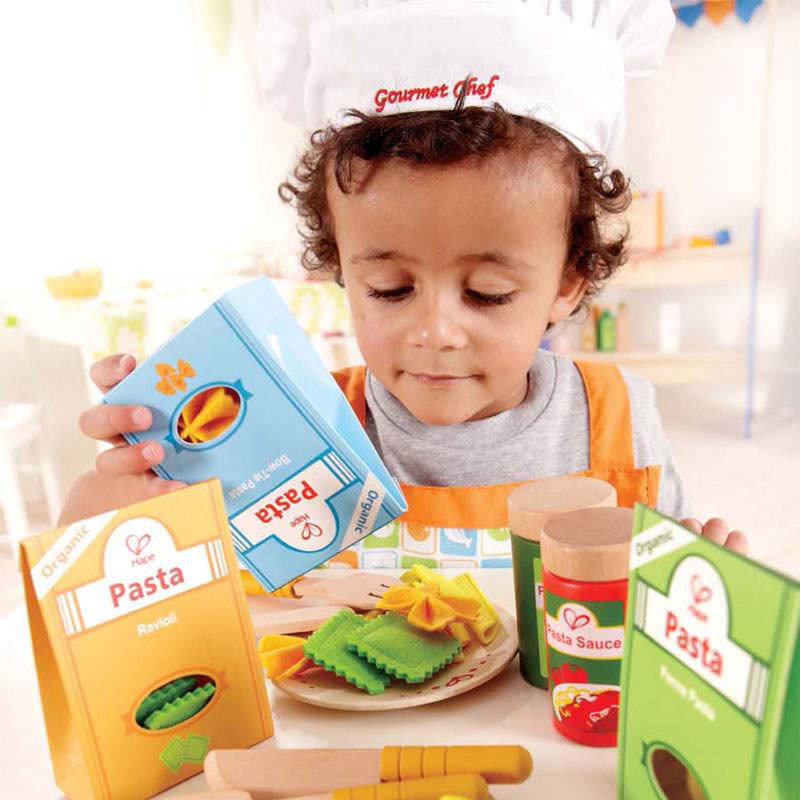 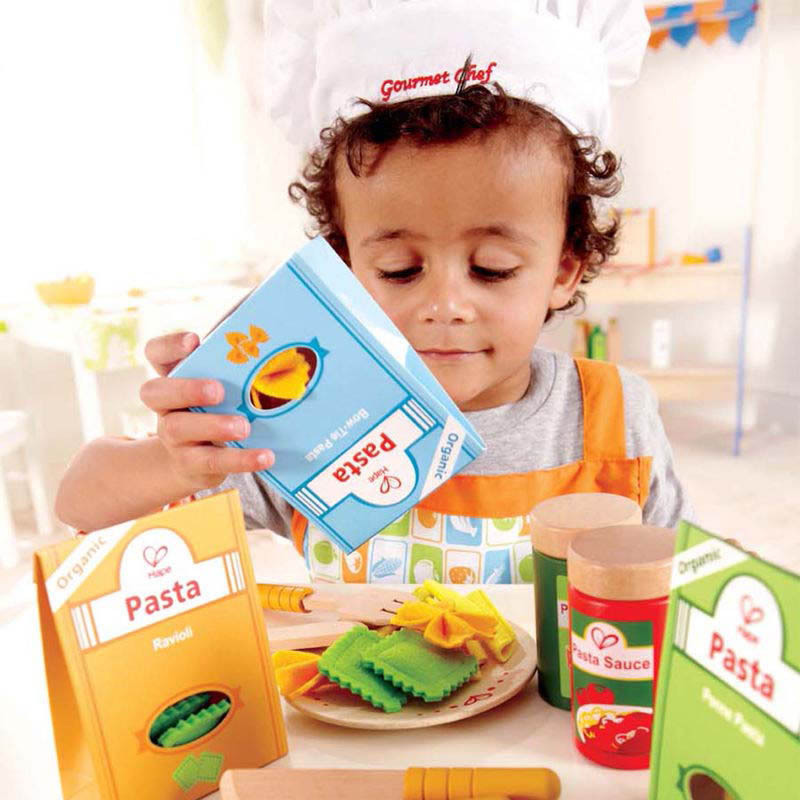 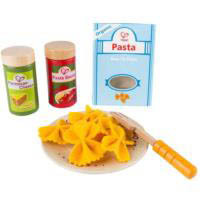 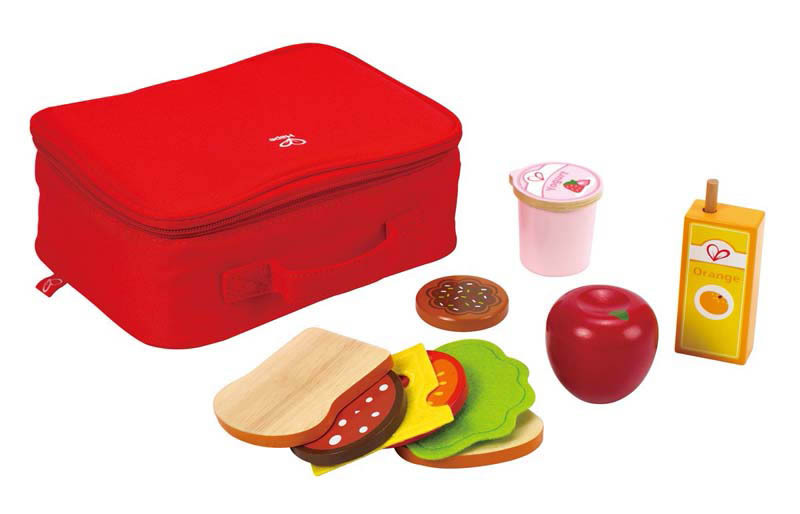 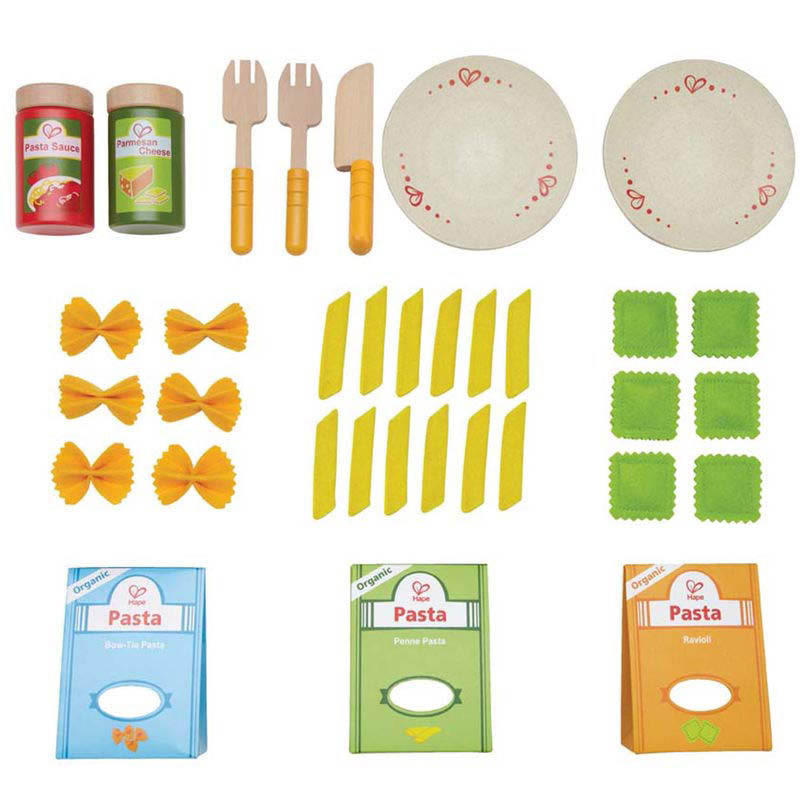 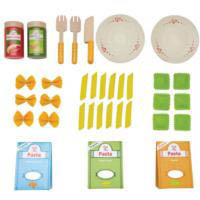 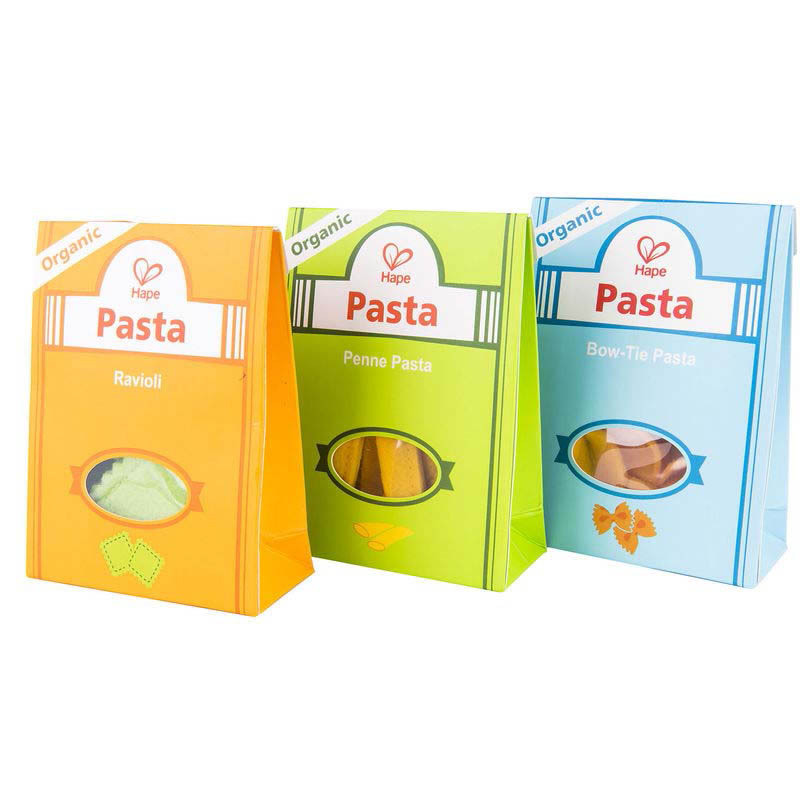 Each set comes with three assorted pasta shapes and accessories. 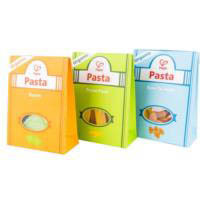 Each pasta box measures 26 H x 18 W x 10cm D.